Offload anything to RAM (tmpfs) for speed and wear reduction. I have issues with ASD. I need to use environments like Eclipse and it worked a lot faster when putting both Eclipse, WorkSpace and such in RAM (any other suggestion? 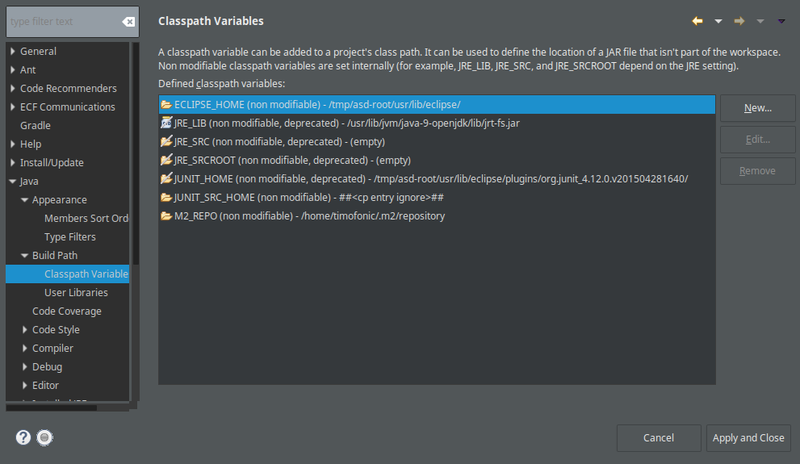 I was considering to put more things like the JVM too, but this error happened). But suddenly started to fail. I also sent this message to [AUR](https://aur.archlinux.org/packages/anything-sync-daemon/), [ARCH BBS](https://bbs.archlinux.org/viewtopic.php?id=139141&p=5) and as an [issue](https://github.com/graysky2/anything-sync-daemon/issues/51) at the GitHub project. I finally edited it with BBCode and converted to Markdown, to avoid wasting more time. Sorry for the redundant links. ## WARNING Do NOT edit anything in this file while asd is running! # Define the target(s) directories in the WHATTOSYNC array. # Do NOT define a file! These MUST be directories with an absolute path. # Note that the target DIRECTORIES and all subdirs under them will be included. # In other words, this is recursive. # Below is an example to whet your appetite. # Define where data will reside in tmpfs. # This location must be mounted to tmpfs and MUST be writable and executable. # NAMESPACE spawning only when users enable the overlayfs option. # the memory costs and to improve sync/unsync operations. # module not 'overlay' module. # Uncomment and set to no to completely disable the crash recovery feature of asd. # snapshots to keep (the oldest ones are delete first). # The default is to save the most recent 5 crash recovery snapshots. Nov 09 12:56:33 timolaptop systemd: asd.service: Failed with result 'exit-code'. Nov 09 12:56:33 timolaptop systemd: Failed to start Anything-sync-daemon. Nov 09 12:56:33 timolaptop systemd: asd-resync.service: Failed with result 'exit-code'. Nov 09 12:56:33 timolaptop systemd: Failed to start Timed resync. Nov 09 12:56:37 timolaptop systemd: tmp.mount: Directory /tmp to mount over is not empty, mounting anyway. Nov 20 08:22:57 timolaptop anything-sync-daemon: /tmp is not tmpsfs so running asd is pointless. Aborting. Nov 20 08:22:58 timolaptop systemd: asd.service: Failed with result 'exit-code'. Nov 20 08:22:58 timolaptop systemd: Failed to start Anything-sync-daemon. Nov 20 08:22:58 timolaptop systemd: asd.service: Unit entered failed state. ASD uses two daemons, one to sync. I didn't remember it. Here's the output of "systemctl status asd-resync" status log. Nov 22 08:30:06 timolaptop systemd: Started Timed resync. Nov 22 08:30:00 timolaptop systemd: Started Anything-sync-daemon. 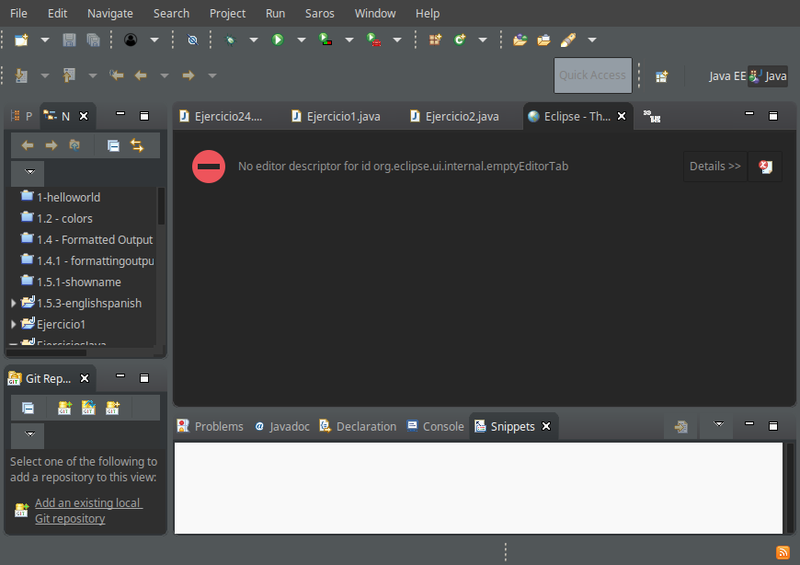 As you can see in the following screenshot, Eclipse is aware of symlinks used in the environment. Might that be part of the issue? What about using directory binding or any other way? I found some ASD forks and attempted to merge them (I found their features quite interesting), but I have yet not tested the code and not time for it due to exams. Whats happening? I have no idea. Can someone help me? PS: I did a [humble quick & dirty unfork](https://www.github.com/timofonic-linux/anything-sync-daemon) from others of your great project. I'm sure it's full of faults (I'm struggling to learn computer programming), but some implemented ideas were interesting. I have no time to test it, just played a bit with the code. I'm sorry for the aberrations (too stupid errors, etc) in the code. @tim - Not out of date. Send a PR on github if you feel the code could be improved. This is very outdated. I made a quick unfork here. I'll try when available (currently at exam and a lot of stuff from study). Changelog: Prevent rare race condition. Changelog: Better config check to avoid rare problems when config file is not properly formatted.